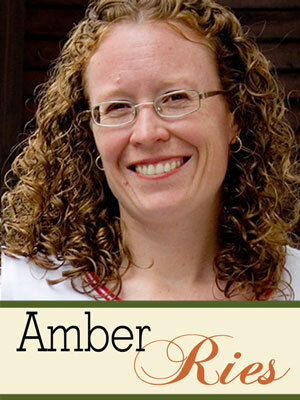 A slightly obsessive crafter, Amber has been scrapbooking since 2002. When her daughter was born in 2005, she had to give up the paper life for lack of space and time. Thankfully, Digital Scrapbooking was making it’s big emergence around then and she flipped over and hasn’t looked back! Besides, getting digital supplies from the internet, is a whole lot simpler (and cheaper!) than having paper supplies shipped from the U.S. to Germany, where she lives with her two half-German/half-American children and German husband. When not busy cooking, shuttling kids to baseball and back and pulling out her hair over the German School System (and the homework it entails), Amber enjoys sewing, cooking, and scrapping with some blogging and photography mixed in, time allowing. Just don’t drop in unexpected, because cleaning is last on her list of things to do and if it doesn’t happen, well, it’ll just get messy again anyway, right? A 2005 Creating Keepsakes Hall of Fame Inductee, Amber has contributed to multiple Creating Keepsakes Publications, Simple Scrapbooks, and Making Memories. She is currently creating at The Lilypad as a Pollywog, and is on Creative Teams for Sahlin Studio, Quirky Heart Designs, Amy Martin & Amy Wolff. She has also been a Coffee Break Guest at Scrapaneers and was a contributor to the books Everyday Storyteller, Scrapbook Page Maps 2: More sketches for Creative Layouts, Every Little Thing and Embellishing with Alphas. To get to know more about Amber, visit her blog: Welcome to Grouchland.